At some point in a company’s history, it is not unusual to require asset recovery services and asset disposal services. This can result from system refreshes or redeployments, employee purchase programs, corporate donation and green initiatives requiring asset decommissioning and OSHA conforming disposal practices. 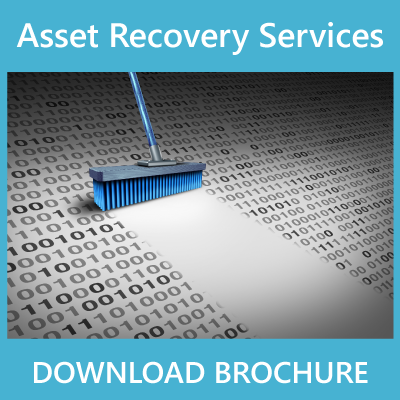 It is necessary to execute asset recovery processes that ensure efficient technology retrieval for data erasure certification, remarketing, environmental disposal, and leased equipment returns. Complete sanitization of your data from your laptops, desktops, and servers ensuring safe disposal. End-of-life assets are recycled in safe and environmentally responsible processes. Your legacy equipment is reconditioned, tested and resold in order to obtain the maximum dollar value. Logistics scheduling and pickup, asset processing, certified data destruction, reporting, and shipment to lessor. Corserva offers a variety of plans to completely eradicate data, depending on the needs of your organization and the type of data you have been storing. Maintaining chain of custody, we take a complete inventory of all equipment that is destroyed, provide you with a detailed list of the equipment including serial numbers, and have a separate party certify the complete destruction of the equipment. This entire process is performed at your location. We securely erase all data from your laptop and desktop hard drives, as well as your servers. We perform any equipment repairs that are necessary before the equipment can be resold. Then, we remarket the equipment for you. Secure data erasure can be done either on your site, or we can pick up the equipment and process it at one of our locations. This process is similar to the secure data erasure & resale process above, except the equipment is returned to the leasing agent after all data is securely erased from the equipment. We perform any equipment repairs that are necessary before the equipment can be returned to the lessor, and we replace any necessary equipment.